Why You Should Vote Tolu Ebun For House Of Representatives!!! 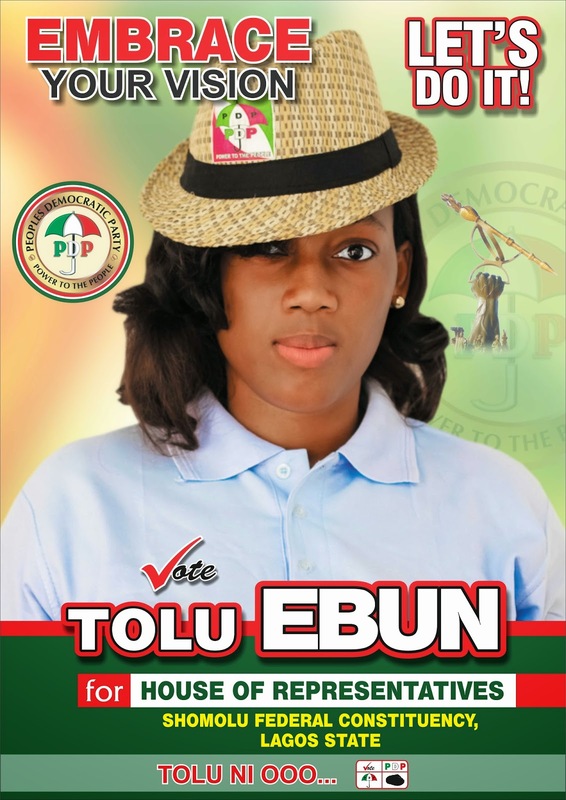 Tolu Ebun is the amiable and hardworking lady who is contesting for the House of Representatives seat of the Shomolu/Bariga Federal Constituency of Lagos State on the platform of the Peoples Democratic Party (PDP). Tolulope Ebun has helped in building her constituency in her capabilility,she was able to drill 3 to 4 boreholes at different locations,procured JAMB forms,GCE forms for more than 50 individuals in her constituency to help build and develop education in Shomolu to mention a few. Lol! So #In Case You Never Know is a new segment on my blog. It's basically to bring you some of the hottest entertainment gists which you fit don miss. Lol! Ignore my grammar. So here's presenting some of the juiciest gists that made headlines in recent times. Rihanna turned 27 On February 20, and while her day started with her shooting a music video, her Roc Nation label made sure she ended it with a bang by throwing a surprise birthday bash in her honour which was attended by A listers such as Beyonce, Jay Z, Naomi Campbell, Russell Simmons, Queen Latifah, Tyrese, Lee Daniels, Paris Hilton and Nicki Hilton. Nigerian rapper 2shotz and his wife, Precious Orioha will be welcoming their first child together into the world anytime soon, Precious had her baby shower last Saturday, 21st February where she announced she and her hubby are expecting a baby girl. This would be her second baby. Nollywood star actress, Genevieve Nnaji, has reportedly acquired a new mansion in Accra, the capital city of Ghana which is reportedly worth about $4m. The new property, which is said to be located at the Achimota area of Ghana is reportedly being guarded by a security company, although the building is a private property, it is unclear exactly what purpose the actress wants to use the new property for. Sources however say she wants it for her private use whenever she is in Ghana. You might recall that back in January 2011, a number of Nollywood stars including Genevieve, Omotola, Ramsey Noah, Jim Iyke, and others were said to have been 'banned' by Nigerian movie producers because they allegedly charge almost 6 times the amount fellow actors demand all because of their celebrity status. Industry watchers say Genevieve temporarily relocated to Ghana during this period, acting in a number of movies and has become familiar with the country and her people since then. Two of the most powerful and beautiful women in the entertainment world, Beyonce Knowles and Jennifer Lopez hung out together at the Vanity Fair Oscar After-Party which took place at Wallis Annenberg Center For the Performing Arts in Beverly Hills on Sunday, February 22, 2015. The duo looked stunning as always and added to the glamour of the night. 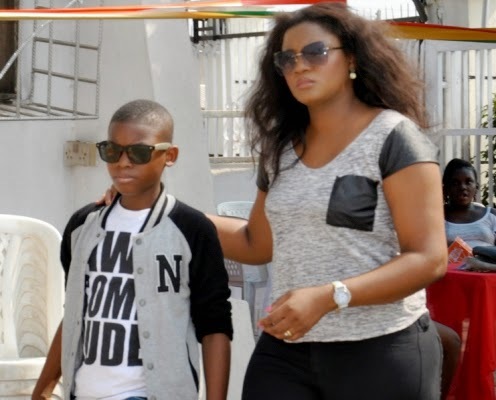 Star actress Omotola Jalade Ekeinde took to twitter to share a very 'crazy' experience she had at the US Embassy. According to her, her youngest child blacked out in front of her at the US embassy on Monday February 23. Apparently,this was due to exhaustion,as he was on a long queue. She said the young boy was fine after he was rushed to the hospital,and thanked the embassy officials for swinging into action quickly. You might recall that Burna Boy signed a 2-year deal with Aristocrat Records in 2012 which was set to run out in 2014 and he parted ways with the label in mid-2014 when his contract with the label supposedly expired but in controversial circumstances. Mary Okoye, the sister of Peter and Paul Okoye, better known as P-Square, is now a mother. Mary and her husband, Emma Mordi welcomed their first child, a baby boy on Saturday, February 21, 2015. Recall that Mary Okoye and her actor hubby got married on Saturday, August 6, 2014 in Asaba, Delta State. 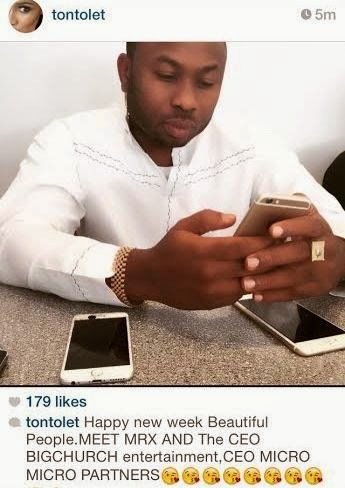 Nollywood actress,Tonto Dikeh has finally unveiled her boyfriend whose identity she hid for a while. She famously calls him Mr X on her instagram page and used to only show parts of his body. She only just revealed his identity earlier in the week. 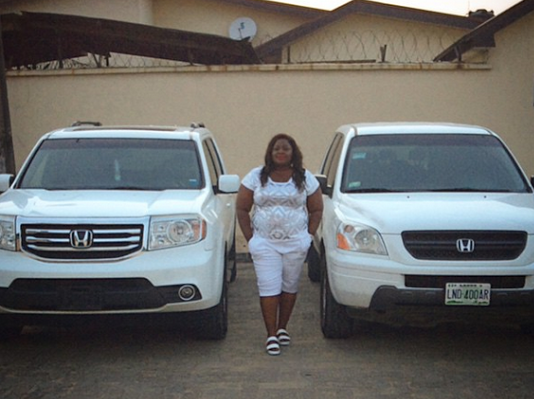 Nollywood actress, Eniola Badmus a.k.a Gbogbo bigz girl posted the photo of her new ride,a Honda Pilot on social media with the caption: "May my new car take me to new places with new people and open up new opportunities in my life.#NiggaWeMadeIt". 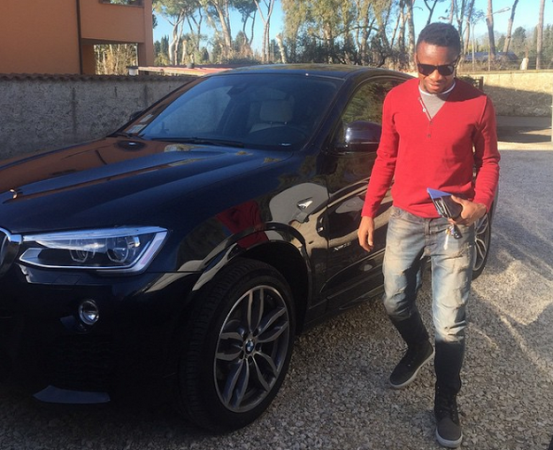 Onazi who also plays for Italian football club, Forza Lazio just bought himself a brand new 2015 BMW X4 and shared it on instagram. He wrote "Set for morning training. #X42015tearrobberthankstoalmightGod#"